Apple’s released the sixth generation of its mobile operating system for iPhone, iPod and iPad and the most talked about addition is Apple’s Maps. 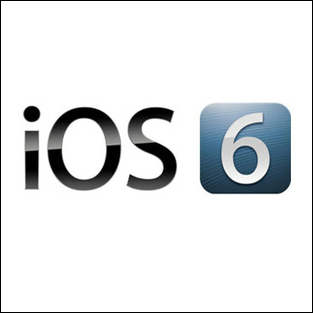 So, how does the Google replacement do and more importantly how does the new IOS6 perform overall? The Apple maps has received some flak since it has arrived, there’s been talk of airport fields in wrong areas, large parks without names and appearing as white spaces and missing railway stations. In London the flyover mode that wowed in June at WWDC only works in Zone 1 and few other places worldwide. However, Apple has claimed that these are only minor setbacks and that the app is constantly being updated. This is easily done as it the app draws from a server constantly – though currently is akin to muddy boots walking over the new OS. Frankly, it compares poorly to Google’s more comprehensive mapping system at the moment, though should improve with time. Apple has however given Siri users a boost and the software now is updated to search for films and their times and restaurant names. It also appears on iPad and iPod Touch for the first time – though, it remains to be seen how many use it. However, the changes make it a more practical addition than before. The new Passbook feature is a great idea and one that certainly is more about function than style. It handles tickets, loyalty cards and vouchers and uses GPS to send them to your lock screen when you are in an area that takes the items. It’s a smart way around NFC for the moment and its success depends on how many companies adopt it – it being an Apple invention means we may see a push. Last year we got Twitter integration and this year Facebook gets integration allowing you to share links across IOS. This is of course convenient though little way of a surprise. The new iTunes also gets an update and the iPad gets a new snazzy clock. This is another nice new feature and one in the smart and functional vein of Steve Jobs. The option allows you to turn your phone to silent during set hours – similar to silent you may think. However, it allows you to program the IOS to receive specific contacts calls or texts. It allows you to block interruptions and only allow for the important stuff to come through. IOS 6 also allows you to share internet tabs between devices, which is quite a useful feature if working on iPad and a Mac. There is also the addition of a Shared Photo Stream, which allows sharing of images with a number of people. This is right in the core of the device’s photo app, which gives it leverage over other third party options. Of course, all of this is done in the usual sturdy and reliable bug free manner you would expect from Apple. This mind set is prime to the new IOS6 – sturdy, reliable, a little innovative and maybe a little underwhelming.